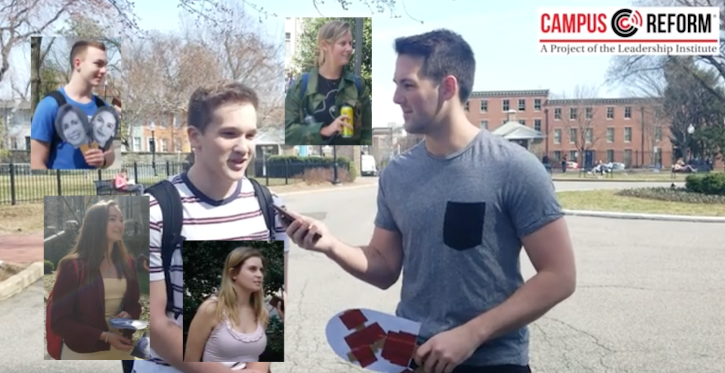 Students at Georgetown University were asked who they think is the face of the democrat party and the majority says it’s freshman socialist Alexandria Ocasio-Cortez. They cite her age and radical views as to where the party is headed. Normally this site would take shots at these students but this “poll” isn’t scientific in any way and is really about getting a sense of who in the democrat party has influence on the youth. Pelosi and the old democrat guard should be very concerned, because soon they will be run out of office, replaced by radicals far worse than they! It’s no surprise to hear students side with AOC, they probably hear a lot of what she is preaching in the classroom that you know is made to sound like sunshine and rainbows by liberal progressive professors. Far too many youth are being misled about socialism that it’s good and fair not understanding it leads to starvation, abuse of power and death. Venezuela is a shining example of what happens when this “wonderful” system of govt, AOC’s wants, is implemented leading to cataclysmic failure. Parents get your kids out of these liberal indoctrination camps.